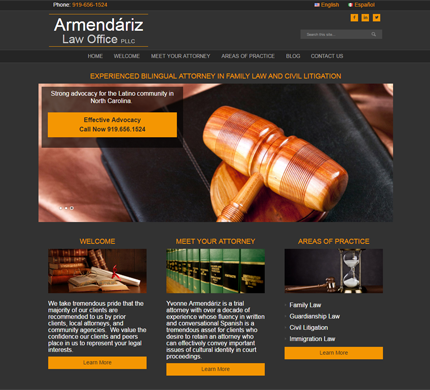 Armendariz Law wanted a new site for their law business. They wanted an easy to manage site, so we choose WordPress with the StudioPress Genesis framework and fully responsive child theme. DeLime started with a blank child theme for the Genesis framework and customized it. It has been a pleasure working with Jim. He has addressed every question with great expedience and research.